Bollywood megastar Amitabh Bachchanlaunched the Hindi trailer of Tamil superstar and close friend Rajinikanth's upcoming film 'Kochadaiiyaan'. Bachchan, 71, alongwith the South legend launched the trailer here late last night at a suburban multiplex. Directed by Rajinikanth's daughter Soundarya, 'Kochadaiiyaan' is a hi-tech 3D film with photo-realistic motion capture technology also known as performance capturing technology, a first of this kind being produced in India. Hollywood blockbuster films like 'Avatar', 'The Adventures of Tintin' have been produced with same performance capturing technology. "I am finding it difficult to find words to what we have witnessed now. Firstly, I will like to acknowledge that it is a woman who has directed this kind of a movie. With the kind of struggle our nation is going through (regards to women) it is commendable that Soundarya has done this and showed that women in India are capable to do best," Bachchan told reporters. "Rajini has a huge following in Chennai... south one must go there and see it. His fans fill up theatres and not all get to see his film first day, first show. Even after several weeks if one goes to see the film, one wouldn't be able to hear anything as fans keep screaming, applauding...it is amazing,"he said. "I hope theatres are filled for 'Kochadaiiyaan' for years and years. I think people will like it. I would like to say in this 100th year of Indian cinema... when the history of Indian cinema will be written, it will be Before 'Kochadaiiyaan' (BK) and After 'Kochadaiiyaan' (AK)," he said. 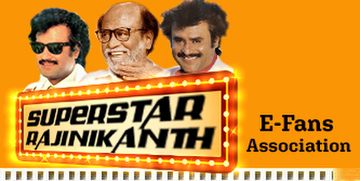 On his personal bonding with Rajinikant, he said, "We have worked together in several films. There is grace, humility in him... he is very down to earth person. Off the screen we often discuss about life, cinema." "I remember when he was doing 'Robot' he told me I am getting bored... I just told him do not stop working and look what he has produced ('Kochadaiiyaan'). Somebody of his stature continues to offer something new to movie goers," Bachchan said. Soundarya is happy that Bachchan released the Hindi trailer of the film. The film stars Rajinikanth in a triple role and Bollywood's leading actress Deepika Padukone among a host of other acclaimed actors. Besides Bachchan, other A-listers including wife Jaya, daughter-in-law Aishwarya, filmmakers Shekar Kapur, R Balki, Subhash Ghai, Ramesh Sippy, Kajol, Anupam Kher and others were present at the trailer launch. "I saw the glimpse of the trailer and told Rajinikanth how he should be proud of you (Soundarya) for what you have done and achieved. It is a game-changer for Indian cinema. Weare proud of you," Shekar Kapur said. Director R Balki found this (trailer) miraculous and is eagerly looking forward to the release of the film. "Soundarya you are the star," he said. Filmmaker Ramesh Sippy said, "I am privileged to be here with the big guns of Indian cinema. I congratulate and am proud of Soundarya for taking our cinema a step ahead. I wish all the success to the film." 'Kochadaiiyaan' is all set to deliver ground breaking technology, taking 3D films a step further in India. The film will take audience on a musical adventure journey through larger than life battle sequences, intricate period detail and real life actors modelled in the animated world of historic India. Earlier, Shah Rukh Khan had launched the music for 'Kochadaiiyaan' in Chennai. The film is scheduled to release this summer.